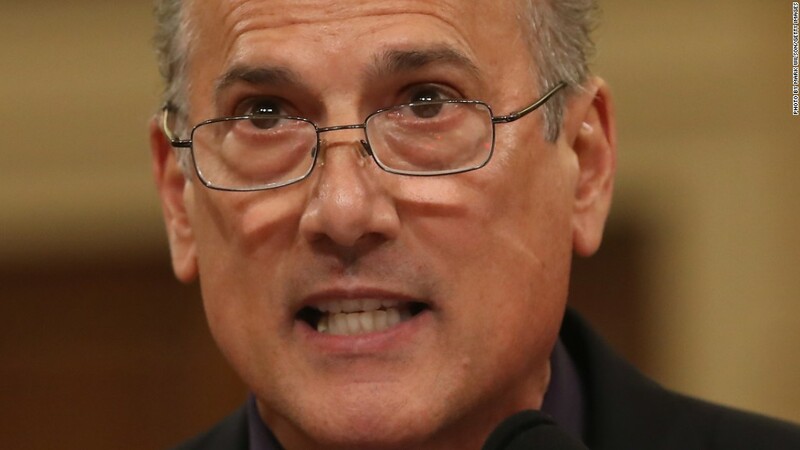 Rep. Tom Marino was President Trump's pick to be drug czar. His decision to withdraw from consideration on Tuesday is a direct result of a groundbreaking investigation by The Washington Post and CBS' "60 Minutes." "It's a stunning result," Jeff Leen, the Post's editor in charge of investigations, told CNN Tuesday morning. "We put the facts out there and we let other people take care of the results." The Post's story -- titled "The Drug Industry's Triumph Over The DEA" -- came out Sunday morning. The two-part "60 Minutes" segment aired Sunday night. Trump was questioned about it on Monday afternoon. And Trump announced Marino's withdrawal on Tuesday morning. Fellow journalists cheered for the Post and "60" on Tuesday morning -- for showcasing the power of journalism at a time when the president frequently derides the profession. Trump said in a Q&A with reporters on Monday that he "did see the report" on "60 Minutes" about Marino. "We're going to look into the report and we're going to take it very seriously," he said, while simultaneously praising Marino as a "great guy." The newspaper and the CBS newsmagazine documented how Marino helped drug distributors pass an industry-friendly law that hobbled the Drug Enforcement Agency's efforts to halt the spread of the opioid crisis. Marino took nearly $100,000 from the pharmaceutical lobby while advocating for the law, they reported. The investigation marked the first time in nearly a decade that the Post and "60 Minutes" have teamed up. It actually stemmed from a Post report in October 2016 that didn't get the attention Leen hoped it would. Post reporter Lenny Bernstein was assigned to write about the opioid crisis in the spring of 2016. He started cold-calling sources, and hit on Joe Rannazzisi, a former DEA official who was pushed out his job and became a whistleblower. The resulting investigation by Bernstein and Scott Higham was titled "The DEA slowed enforcement while the opioid epidemic grew out of control." Leen said the story was "completely overshadowed by the election." And the reporting team didn't feel like it was finished yet. "We felt like we had not yet answered the question of exactly how this law was passed despite DEA opposition," Leen said. Toward the end of the year, "60 Minutes" producer Ira Rosen approached Leen about collaborating. The two teams had worked together on investigations into a faulty FBI forensics tool in 2007 and an online poker scandal in 2008. "We talked about a bunch of ideas, and this" -- the DEA versus the drug companies -- "was the idea that hit," Leen said. "60 Minutes" executive producer Jeff Fager and the Post's executive editor Marty Baron had a call in January to formalize the relationship. Higham, Bernstein and others at the Post continued their work to obtain internal documents and other materials. Rosen, producer Sam Hornblower and correspondent Bill Whitaker pursued it from the CBS side. "We energized them and helped them to do a very powerful broadcast, and they energized us to do a full spectrum presentation on our end," Leen said. "There was a synergy that created forward momentum and let everybody know, at both shops, that this was a very important project." Over the course of the investigation, Marino refused to speak with journalists from the Post and CBS. His office even called the U.S. Capitol Police at one point when Whitaker's crew showed up. "60 Minutes," which has a built-in audience of millions and benefits from a huge NFL lead-in audience in the fall, provided a brighter spotlight for the story than the Post could have had on its own. About 13.4 million people watched "60 Minutes" on Sunday night, according to Nielsen. "We're proud of the reporting and of the collaboration with the Washington Post," Fager said in an email Tuesday morning. "We all hope for stories with impact and this certainly qualifies as one with a powerful impact. It is an important story that we will continue reporting as it as it unfolds." Notably, the president's name came up only in the very last line of Whitaker's "60 Minutes" report: "As for Congressman Marino, he was just nominated to be President Donald Trump's new drug czar." On Tuesday, after Trump tweeted the news that Marino had withdrawn, Trump said in a Fox News Radio interview that Marino is a "fine man," a "supporter of mine from Pennsylvania, great state, I won Pennsylvania. He is a congressman from Pennsylvania. Very popular." Trump went on to say: "He told me, look, if there is even a perception that he has a conflict of interest with insurance companies, essentially, but if there is even a perception of a conflict of interest, he doesn't want anything to do with it." The stories didn't mention insurance companies. Trump added: "There was a couple of articles having to do with him and drug companies and I will tell you, he felt compelled, he feels very strong about the opioid problem and the drug problem, which is a worldwide problem... and Tom Marino said, look, I'll take a pass, I have no choice, I really will take a pass, I want to do it."